The speed at which technology is developing is having a profound impact on our children and it is interesting to compare their childhood experiences with those of the previous generation. England Marketing (2009) Report to the Natural England on childhood and nature: a survey on changing relationships with nature across generations. This is a big shift in how children play and what they experience in their childhood years. The question is how does this impact on their health, personal development and learning? Health is impacted negatively by not getting enough exercise, leading to increasing rates of obesity in children and adolescents. Children are not playing outside as much as they used to, limiting their exposure to sunlight and thus the generation of vitamin D which helps to fight infection and keeps skin healthy. Sunlight also helps to regulate the production of melatonin which regulates sleep. Electronic devices emit harmful blue light, which can cause headaches and eye strain. Blue light in the evenings can even limit the production of melatonin, which in turn can make going to sleep very difficult for some children. So what is the answer to this slippery slope that we find ourselves on… More time outside! Ofsted (2008) Learning outside the classroom. How far should you go? There are a lot of organisations who promote outdoor activities, such as Learning Outside the Classroom, The Outward Bound Trust and The Woodland Trust. Many of these offer ideas for outdoor learning as well as courses for teachers and school resources to download. 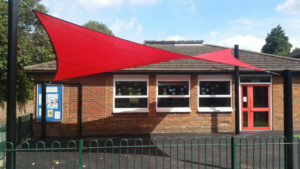 In the UK, the weather can often be a barrier to taking children outdoors for regular lessons and it may be that the addition of a school canopy or shade sail, may be just the thing to make sure that your school is not depending on the British weather to get the children in the fresh air. Imagine a school campus with a custom built outdoor sheltered learning space, which is ready to use every day of the year! What a fabulous way to make sure that your children make the most of the natural world and all the benefits this can bring. 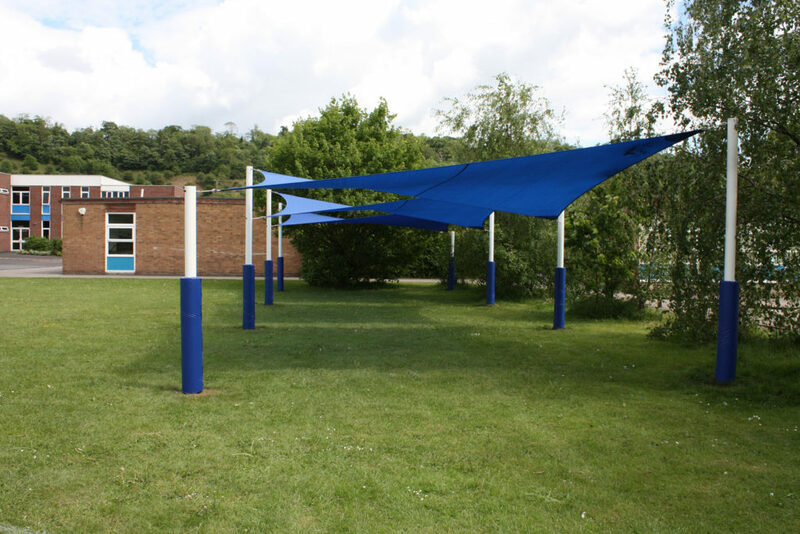 These can take the shape of Umbrella style shelters, Tepees, Shade Sails or steel and polycarbonate school canopies. For a larger sheltered area, a covered MUGA would provide space for all year-round sports and learning activities outdoors. 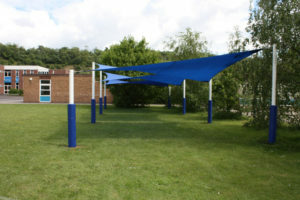 Perhaps a bespoke school canopy would be something to consider, these can be designed specific to the school and made to measure. 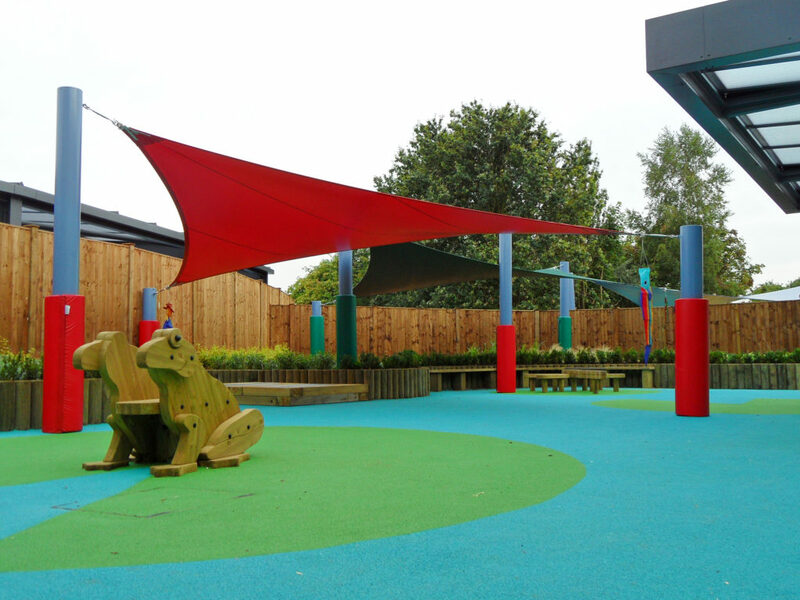 Whatever the requirement, there will be a school canopy solution to help bring the benefits of outdoor learning to as many children as possible. Education and Skills Select Committee. For more information about A&S Landscape’s shade sails and other canopy solutions please click here.